Wide opening for easy filling. 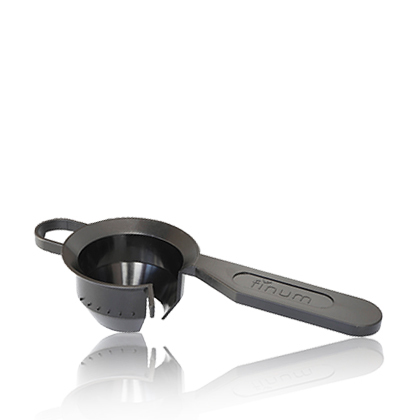 To be used with finum® Tea Filters size M and XL – made in Germany. 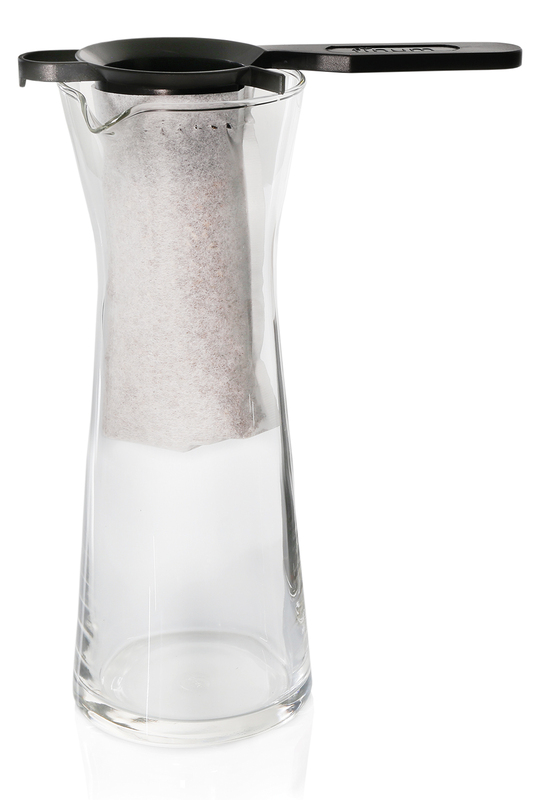 The Top Holder can be used for standard filters without flap. The tiny hooks guarantee a perfect fit and prevent the filter from sliding off. The wide opening makes it easy to fill with tea or coffee perfectly. With the M and XL paper filters you can even make COLD BREW COFFEE. 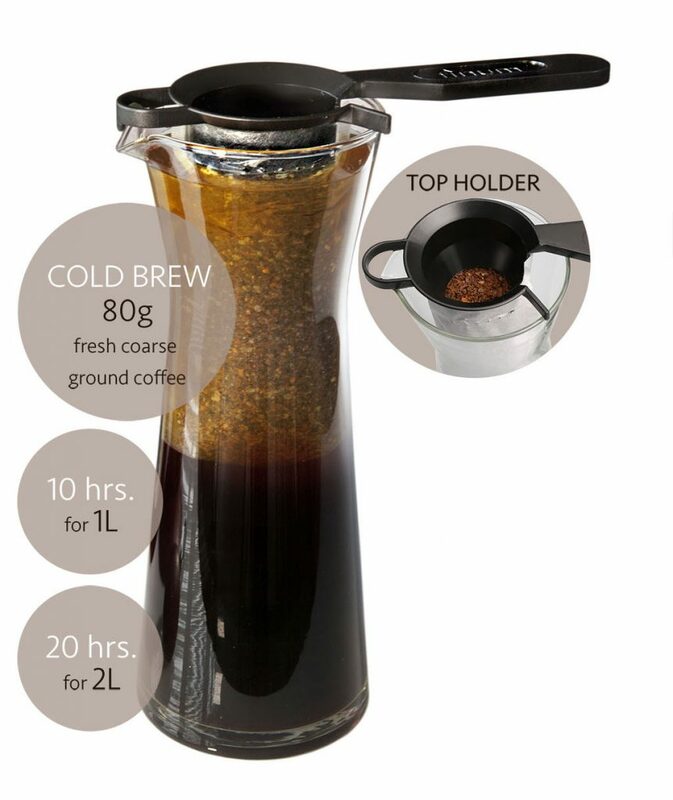 Used with the finum® paper filters size M and XL, you can prepare a cold brew coffee with lower acidity and more nuanced taste. When kept refrigerated it stays fresh and tasty for up to 2 weeks.